THE TAKEAWAY: You need to know your supporters well before you can decide what membership structure will be most appropriate for your organisation. There are many ways to structure a membership scheme. At the most basic level you could have a one-size-fits-all scheme that includes everyone. That makes it easy to explain and easy to administer. On the other hand, providing different types or levels of membership can help you target different types of people with different offerings, and provide cheaper and more expensive options as well. Below we have outlined some of the structures you could consider. 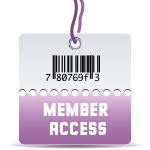 Your ordinary basic membership level will have certain attached benefits that allow members to identify with and participate in your organisation, and stay up to date with its activities. You should also provide the option of concessional membership for people who can't find the cash for a straightforward membership. In organisations with lots of competition for members, where members tend to be more flighty, you'll most likely have to do better than just the basics. At the next level up, you can start building other layers with more features, more prestige and more rewards. If you have enough supporters to fill them you can go even further than that. Your model in this should be the credit card companies, which have special cards for every metal from platinum to molybdenum. At this level you can match the recognition to the individual temperament of the donor, one on one. 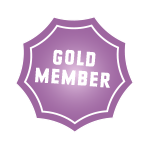 OUR TIP: Servicing a whole bunch of different membership levels and schemes can be hard work. Also bear in mind that you don't want to look grabby, and you don't want to create divisions or envy within your organisation. A two-level system is almost always OK. If your constitution has special rules on who can be a member - school parent, person with a disability, Harley owner - but you want to bring others into the circle, you will need a special membership scheme. You can do this by setting up an adjacent body of (say) 'Friends of ...'. This will help to widen your circle of influence, provide more numbers for your events, and can be an invaluable fundraising resource. 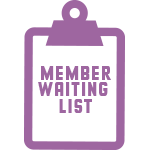 Another form of special membership is short-term membership to take advantage of the passing trade. If you're working in an area with a lot of transients - tourists in a country town, say - look at what you have to offer them while they're in town and what they can provide for you, and strike a rate based on that. 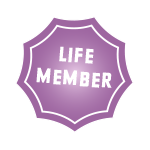 A lifetime membership category enables you to capitalise on the goodwill of those who are feeling so happy about your group right now that they are willing to pay upfront to stay on board forever. This can be a fundraising monty. It means that you have multiple years' subscription fees from a person and that you don't have to chase fees year after year. You do, of course, have to have some system of putting money aside to provide for future entitlements, but at least you know that you have one person's membership paid up every year. It seems the normal membership rate for "lifetime" membership runs at anywhere between 10 to 30 times your normal membership fees. There obviously has to be some discount, otherwise there’s no point paying, but if you’re paying for membership in 2025 at 2013 prices you’re probably getting a reasonable deal. Aside from the financial benefits, it means that you hold a member for "life" rather than have them as a year-to-year proposition. EXAMPLE: One small community radio station offered life memberships for $1500 and signed up four of them. It doesn't sound much, but $6000 can make a huge difference to an annual community group budget. 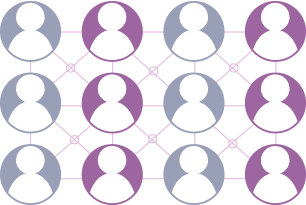 A unique form of membership is to set up a coterie or supporters' group that is limited by number. For example, AFL club Richmond set up the Tommy Hafey Club, a coterie group be limited to only 248 members - the exact number of games the former coach led the club. 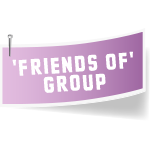 Other organisations - not just football or sporting clubs - have set up similar forms of membership or sponsorship groups and usually limited to a lot fewer members than 248. If there’s enough demand and only a limited number of spots, you can of course afford to increase the amount of money required to join the group. The one thing you need to work out is what you’re offering to this group that provides benefits beyond what they would receive through normal membership. It might be priority seating, priority invitations to major functions, networking and access to major sporting, business or political figures, a special event open only to members of the supporters group or some form of marketing or advertising benefit. It’s a matter of knowing your market and knowing the supporters of your organisation and what they are prepared to pay and what would entice them to pay a certain amount beyond the average fee.